L'ART OF FASHION: Outfit post - BANG,BANG!! Bang - Bang into Wednesday! The sun is shining and I'm feeling much better than two days ago! doesn't know how to be sick and stay still until you feel better. I need to go out, I need to do this, I need to go there, etc." I've been missing my gym this week, but I'll start again on Monday. me feel less scared of the whole thing. coat and all that fancy stuff, so I'll have a normal tooth/ teeth again. hit the fan and it was almost too late. Have a beautiful day everybody! Ajme zubari brrrr najgora noćna mora. Haljina je baš jedinstvena, jednostavna, a opet upečatljiva i moram reći kako mi se strašno sviđa u ovoj kombinaciji sa patikama, kožnom jaknom i tom maramom....i crvenim ružem....sjajno izgledaš! Drago mi je čuti da si bolje, te su bolesti/ viroze/ isrpljenosti koje dolaze sa promjenom vremena jako naporne...a što godine idu, čini mi se da se sve više opterećujemo sa time svime što trebamo obaviti sve dok to ne preraste u nekakav nepregledni popis (barem sam ja takva). Možda bismo nekad trebali biti malo više kao djeca i nekad se pomalo prepustiti svemu i radovati se svakom novom iskustvu. great outfit, I like runnings with this dress! So cute! Love the touch of the sneakers and hair piece :) Thanks for stopping by SLS, have a great day! Are you Italian? Hehe, very cute. aa bas slatko :) lijepa masnica! I've never tried that on my hair but it looks lovely! I'm in love with the scarf on your head! Za ovako nesto treba biti smeo! A ti to dobro nosis! Obozavam ovakve jakne! You look soooo pretty! Loving the matching shoes to your outfit! This is such a cool outfit! love it! I am in love with that headwrap. Love this! Such a fabulous look! working that headpiece!!! :D love it! wauw you look amazing! - beautiful dress. Super chic and cool look. Love it. Love your head piece! SO original and chic. Awesome look. Completely love your style! New style! Running shoes are now elegant. Great outfit! I too love to wear my sneakers with a dress or skirt! 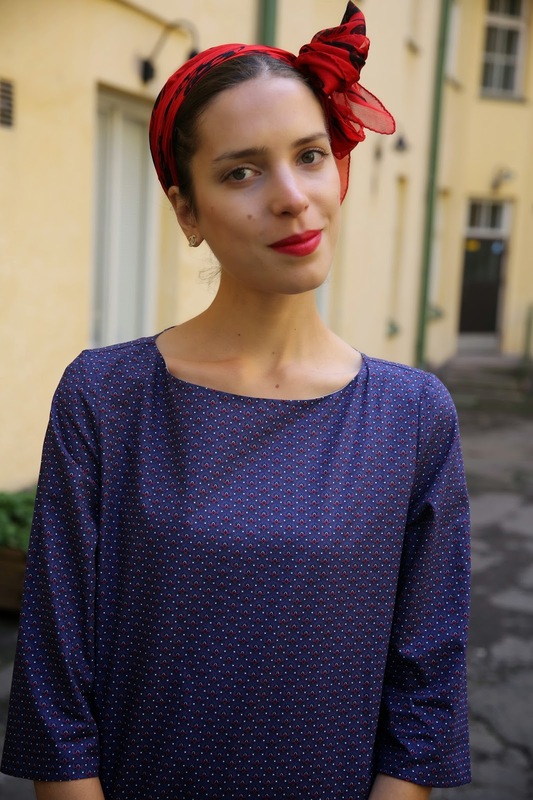 love love love your headscarf!!! Amazing! I love everything about it! the dress looks super cool with the sneakers and the headband! As annoyed with Zara as I am at the moment, I love your jacket! Such a gorgeous French look! Amazing outfit! The dress and sneakers are a perfect combo! I am already following you, so I 'll wait for you on my blog! Predobro si složila ovajoutfit, baš mi se sviđa! Adorbs! Loving how you added the headscarf! So fab! I love that you added head accesorie as it really brings out the whole outfit. Great post and keep up the good work. Just discovered your blog and I love your style! This is a stunning look and I love love love this motto jacket!!! Wow , stunning outfit .